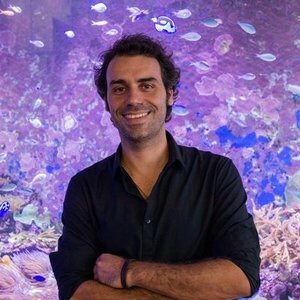 Deeper sections of coral reefs have been suggested to potentially offer a refuge against thermal anomalies and mass coral bleaching caused by global ocean warming. Here, Frade et al. investigate temperature profiles and bleaching impacts across depth on the northern Great Barrier Reef to conclude that this thermal refuge capacity of deep reefs may be limited. Deep reefs of the Great Barrier Reef offer limited thermal refuge during mass coral bleaching. It was May 2016, the Great Barrier Reef (GBR) was experiencing what would later be described as the worst ever mass coral bleaching event in its recorded history. 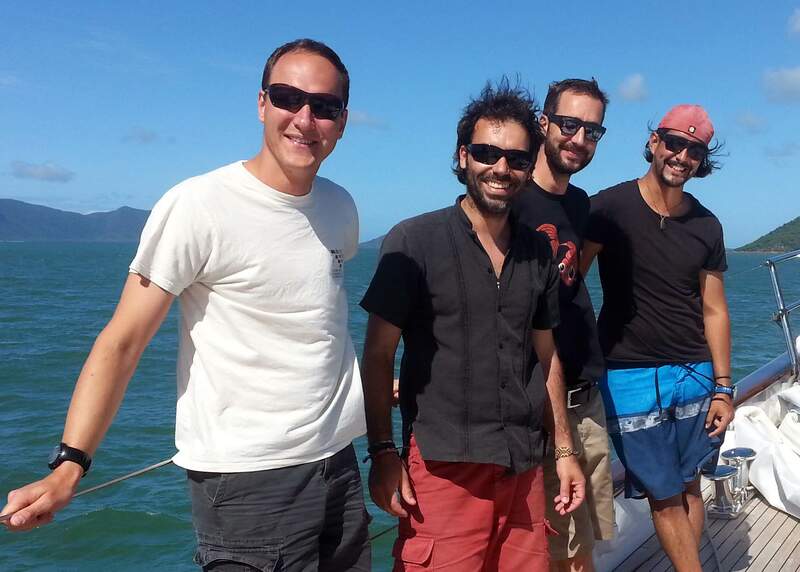 Our team was getting together in Cairns, north Queensland, arriving from various parts of Australia to go assess the yet unknown impacts of the mass bleaching event to the deeper sections of the northern GBR. On the shallow reef, the mass bleaching of the late austral summer of 2015/2016 would reportedly cause the death of about 30% of all corals across the whole GBR, with most of this impact located in the northern GBR. 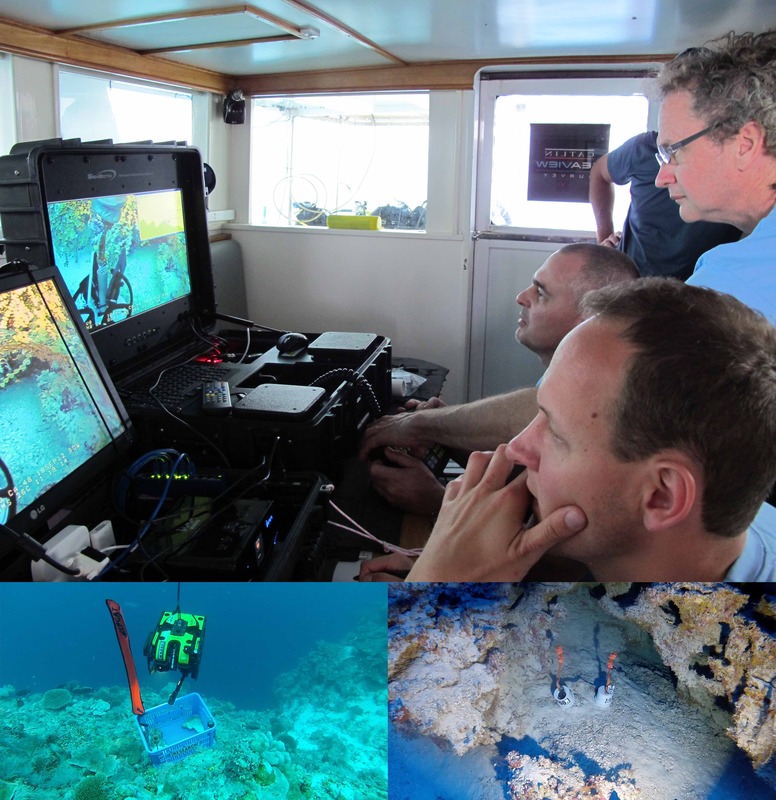 However, information on bleaching impacts to mesophotic depths (i.e., below 30 m of depth) was so far non-existing for the GBR, despite the hypothesised role of the deep reef as potential thermal refuge for coral species threatened in the severely affected shallow reef. We felt a mix of anxiety for the potentially devastating scenario we would be facing underwater in the next couple of weeks, as well as a sense of mission, as it had been a long and strenuous month of preparation for some of us, and there was no room for failure in the very tight sampling schedule we had planned. 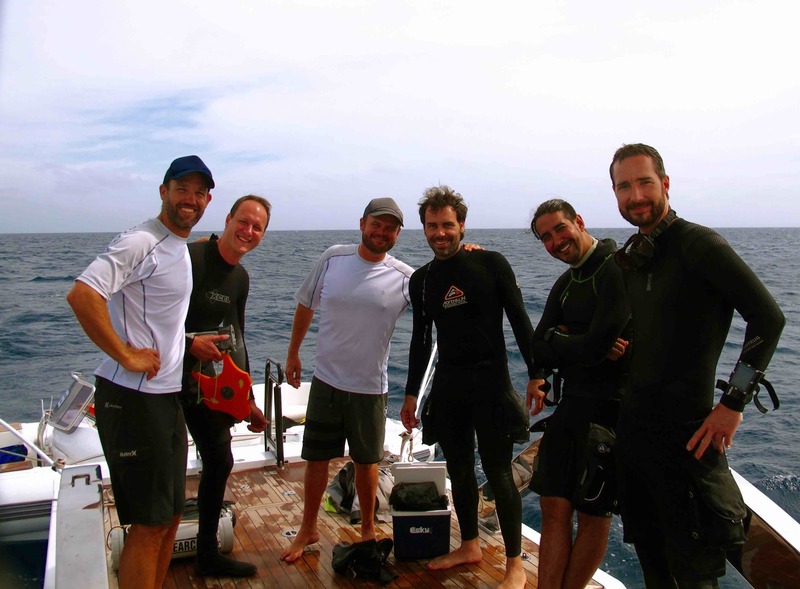 In fact, preparations for this trip started 3.5 years earlier, when Pim Bongaerts and Norbert Englebert (and the rest of their team) established a range of monitoring sites as part of the XL Catlin Seaview Survey. 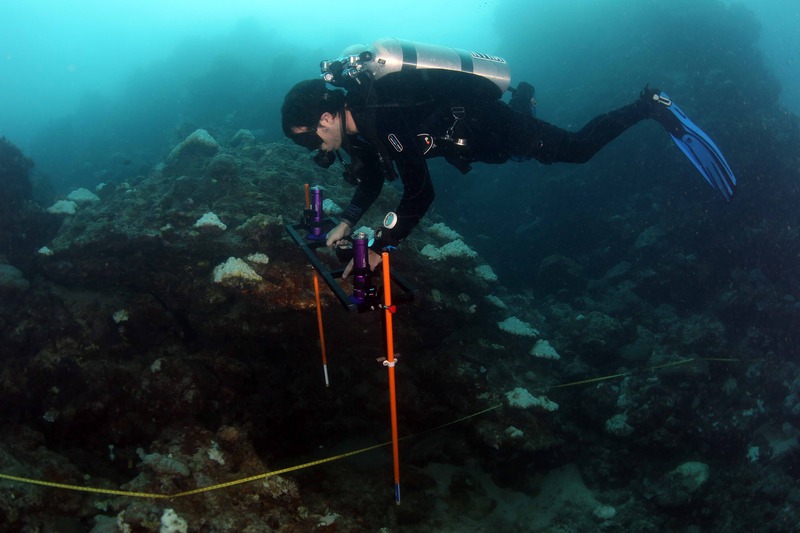 Shallow and deep permanent monitoring plots were established at 8 different locations, to start assessing how trajectories of deep reef communities vary from those in the shallow. 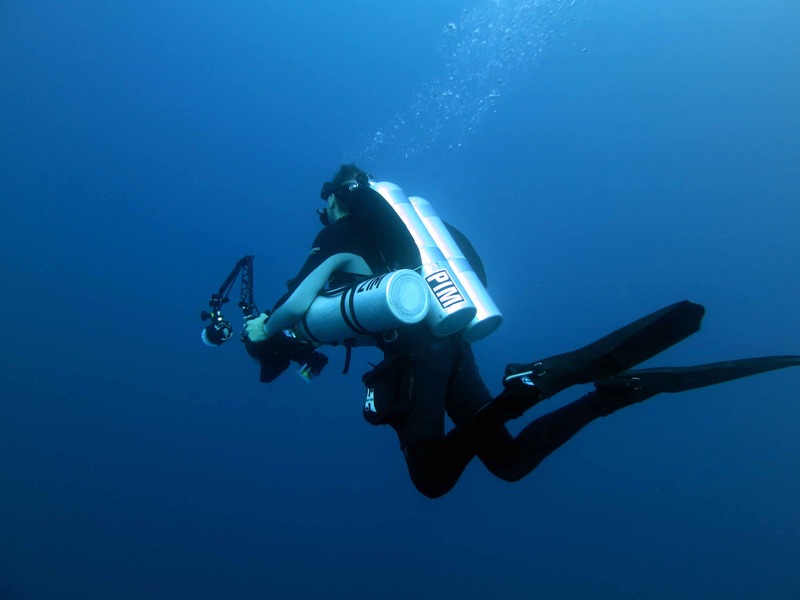 Temperature loggers were originally deployed from 10 m all the way down to 100 m depth, using a remotely operated vehicle (ROV). 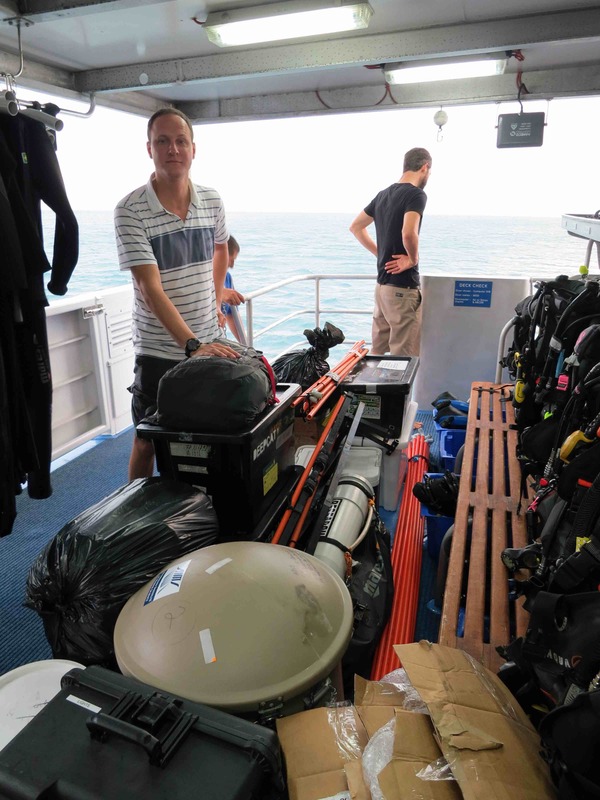 Given that the loggers could not be secured to the reef, they were mounted in PVC cylinders with sealed dive-weights and several floats on a short rope to allow the ROV to deploy and retrieve the loggers. The data from the 10 m and 40 m loggers were now crucial, as they could help explain the bleaching patterns we were set to find during our trip. … we all expected to see some bleaching at depth, but no one was actually ready to see that widespread effect of the bleaching, so severe and impressive, even down at 40 m depth. More than half of all coral colonies were bright white, and many had already died, basically by starvation, as bleaching in fact corresponds to the loss (from the coral) of photosynthetic microalgae which in normal situations cover most nutritional needs of the coral. It was quite sad to see at first-hand the devastating effects of that warm water mass that sat over the northern GBR, a thermal anomaly caused by our globally warming climate. And even more appalling was to realise that those corals in the deep were not really protected from the effects of this thermal anomaly, and that even at depths of 40 m the temperature rose to unforeseen absolute maxima of 30.2-30.4 °C across the different locations, only slightly milder than the 30.6-30.7 °C registered at 10 m depth, for instance. Our research showed that deep reefs, often considered to offer refuge for thermal anomalies, may only have a limited ability to do so. After the work was done, we went home with a deep sense of frustration from witnessing such a devastating scenario, and feeling so powerless not being able to do anything to ameliorate the bleaching effects. 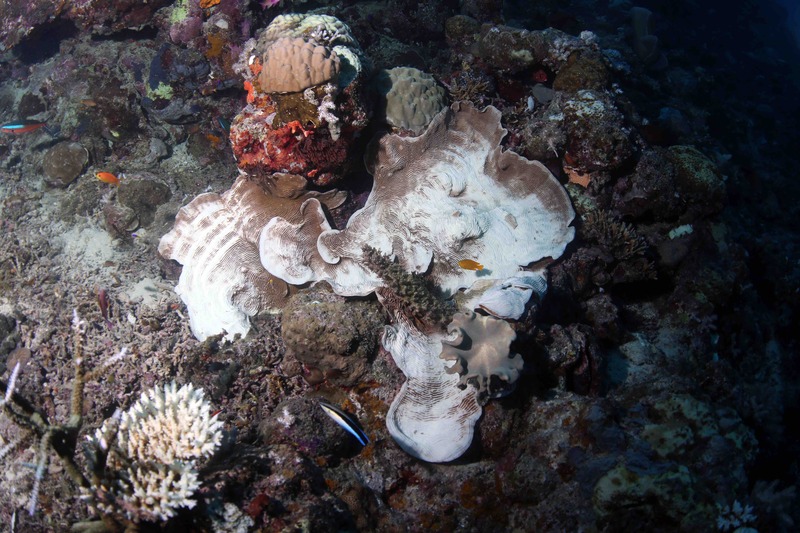 It was overwhelming to experience the spatial magnitude of this bleaching event, sailing for hundreds of kilometres between reefs and seeing the same damage again and again. 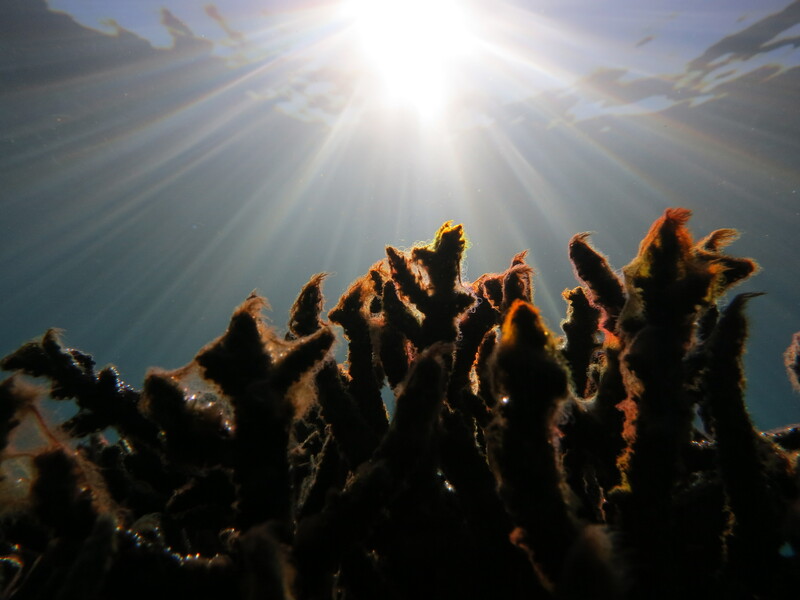 Nonetheless, the study provided important new findings that once again highlight that we, as a global community, need to make some drastic changes if we want to preserve our coral reefs into the future.